Star Nomad Update to bring Mining! It’s something that a lot of players have requested in their feedback and I’ve developed it for Star Nomad 2, but in a coming update, Asteroid Mining will be a new feature to allow players more choices in their playstyle. To start, purchase a permanent Mining Laser (Turret, 25,000 Cr) upgrade at the Shipdock. 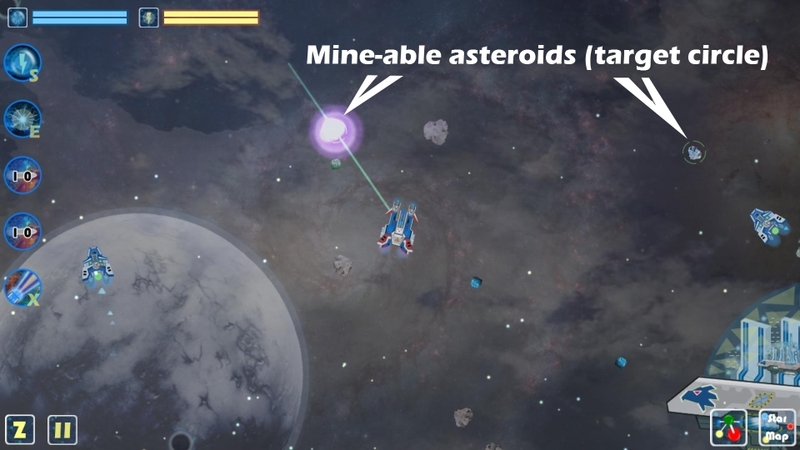 Mine-able asteroids have a target circle. When mined with a laser, it will explode into fragments. 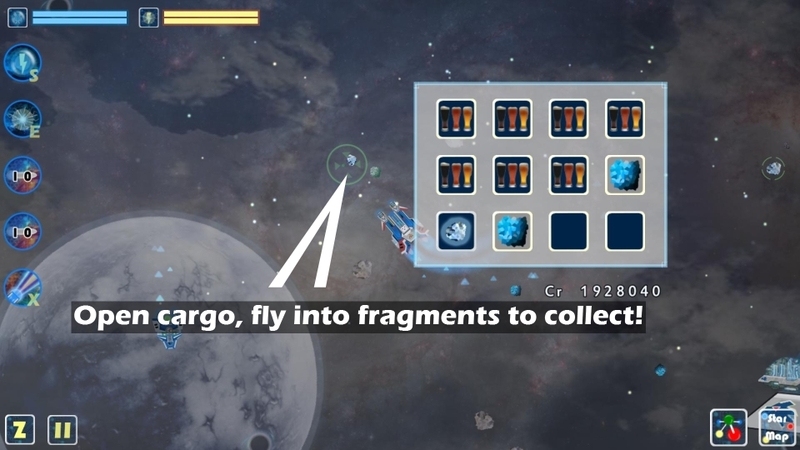 Fly over fragments (small roids with a green dot) with the cargo menu open to scoop up the ores! Each asteroid has a hidden quality value that determines which fragments you obtain when mining. With regions outside the starter Al Dhanab offering rare & expensive ores such as Exonite or the ultra-rare Phanium! Both of which fetch the best prices at Refineries (Mining Station or Shipdocks will buy them too, but for less Credits). Mine-able asteroids will spawn in systems with Mining (typically higher quality) and Refinery Stations. Some pirate systems will also have very high quality roids for you to mine, but beware of the locals! Mining is a very profitable activity from the start, with good yields in Pyrenees and decent yields in Melfina, both relatively safe systems.